Cylinder, prism, square block ... two halves make up a whole. 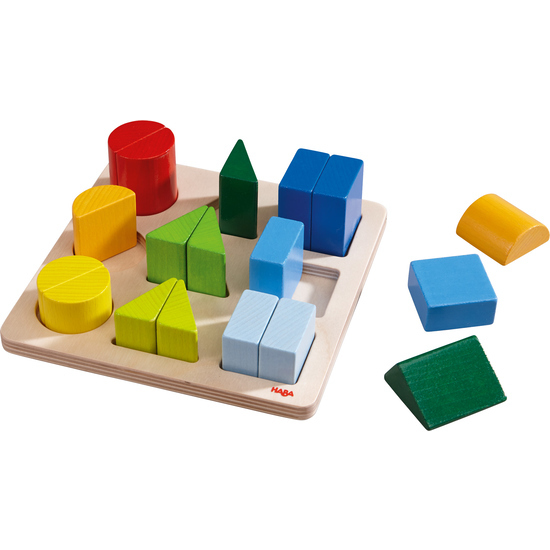 But which two blocks match in shape, color and height? Whoever finds the right pairs can insert them into the sorting frame. Contents: 18 sorting blocks, 1 sorting frame.